Ernie Ball Prodigy picks feature highly durable Delrin material for a more secure non-slip surface. 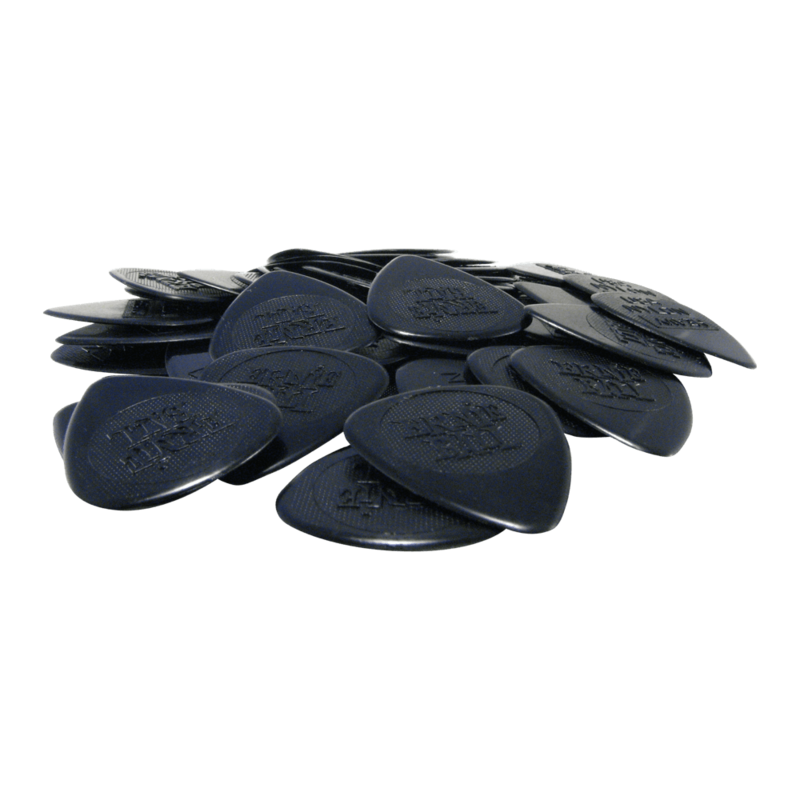 Guitar picks might only be small pieces of plastic to the average joe, but they wield a lot of power over the way your music sounds. 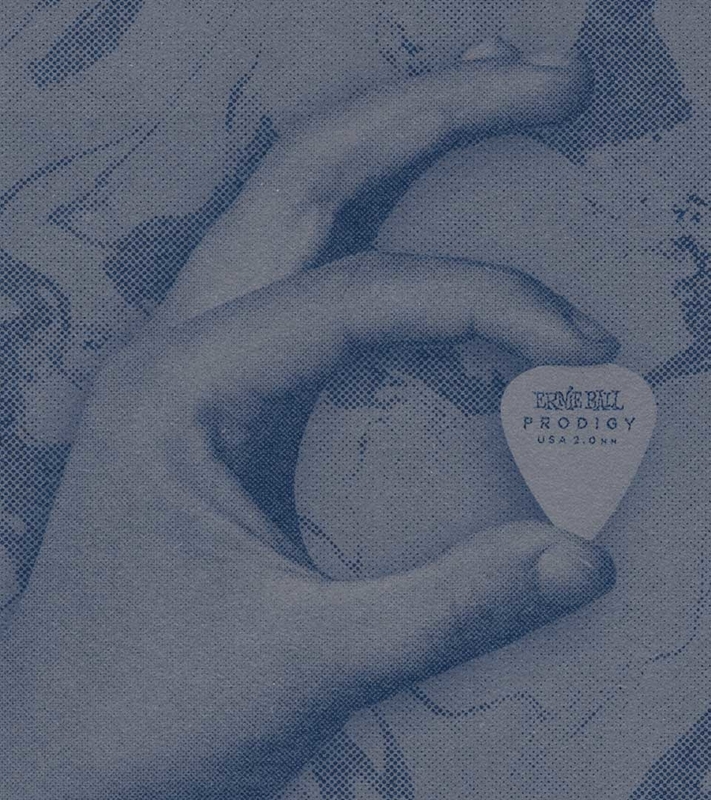 Guitar picks give you the precision that you crave to make your music sound the way you want. 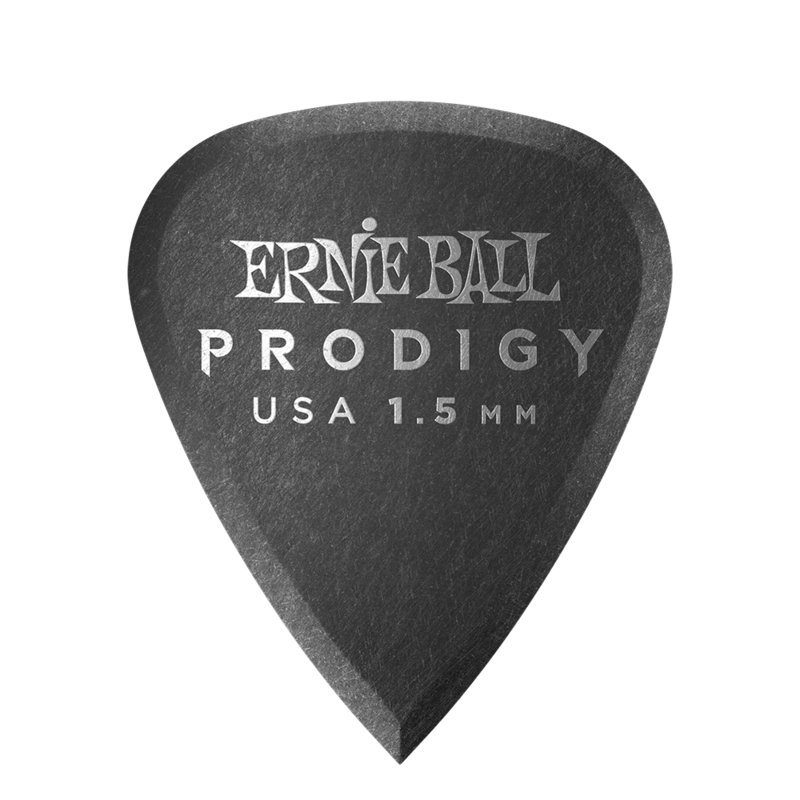 Ernie Ball makes a variety of picks that are different sizes, designs, and materials to help you play with precision and style. Ernie Ball uses high-quality Delrin, cellulose acetate nitrate, nylon and a mixture of nickel, zinc, and copper alloy on our picks. 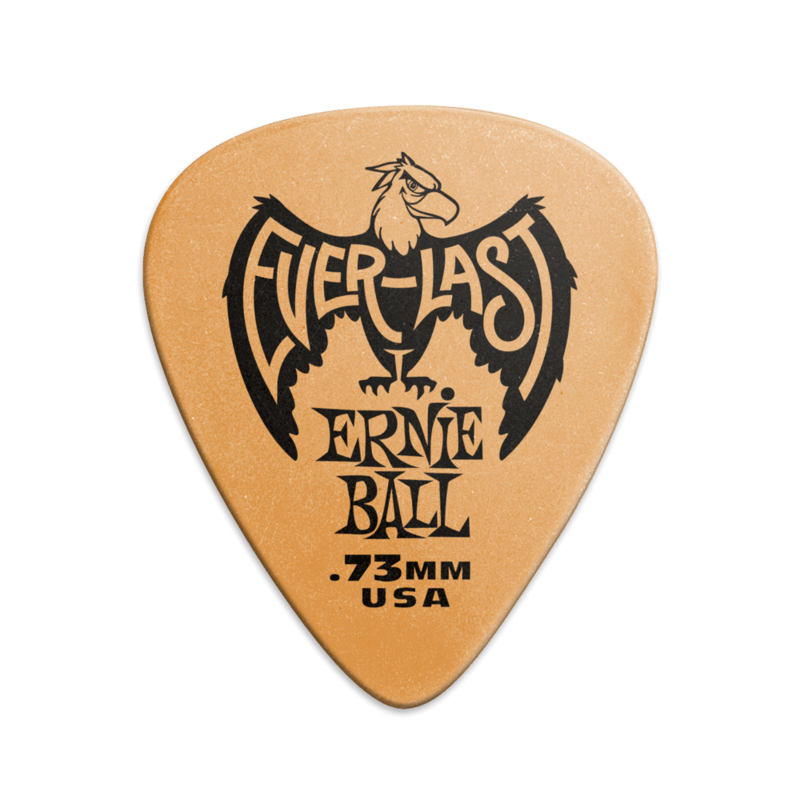 If you are looking for a pick that will stand the test of time, check out the 12-packs of Everlast guitar picks.. They come in both a heavy and medium thickness and are extra durable for those that are hard on their equipment. Made out of fluorescent Delrin, these picks are hard to lose and won`t break. If you want to try the look of a more custom guitar pick, consider either the camouflage picks or the pearloid picks. 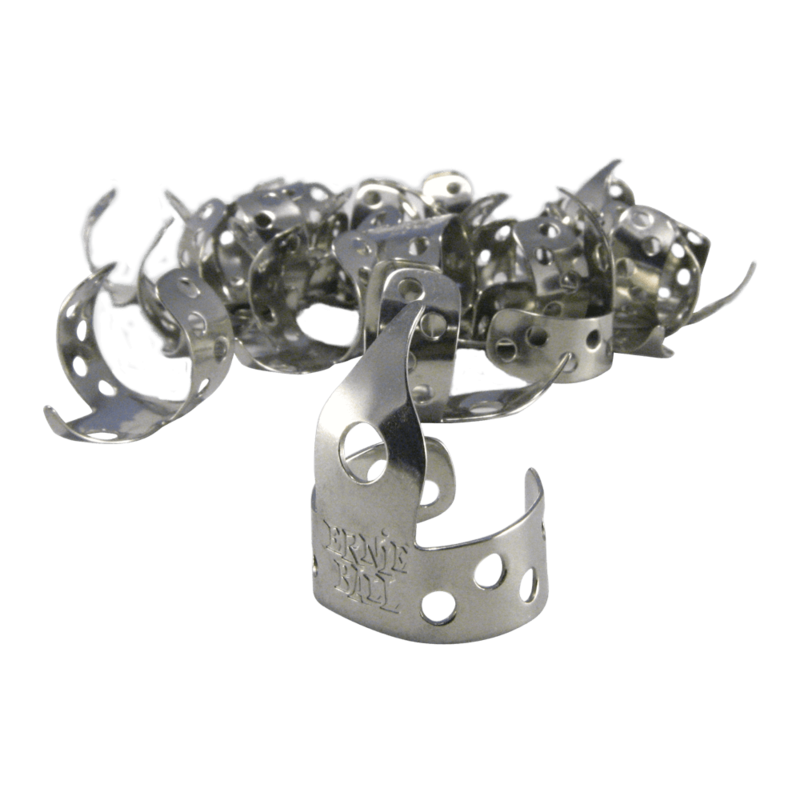 You`ll be less likely to mix up your picks with someone else`s and you`ll look even more rock and roll. Both sets are made from cellulose acetate nitrate and come in all three thicknesses. Aggressive players that like to move a lot on stage might want to look at the nylon picks. 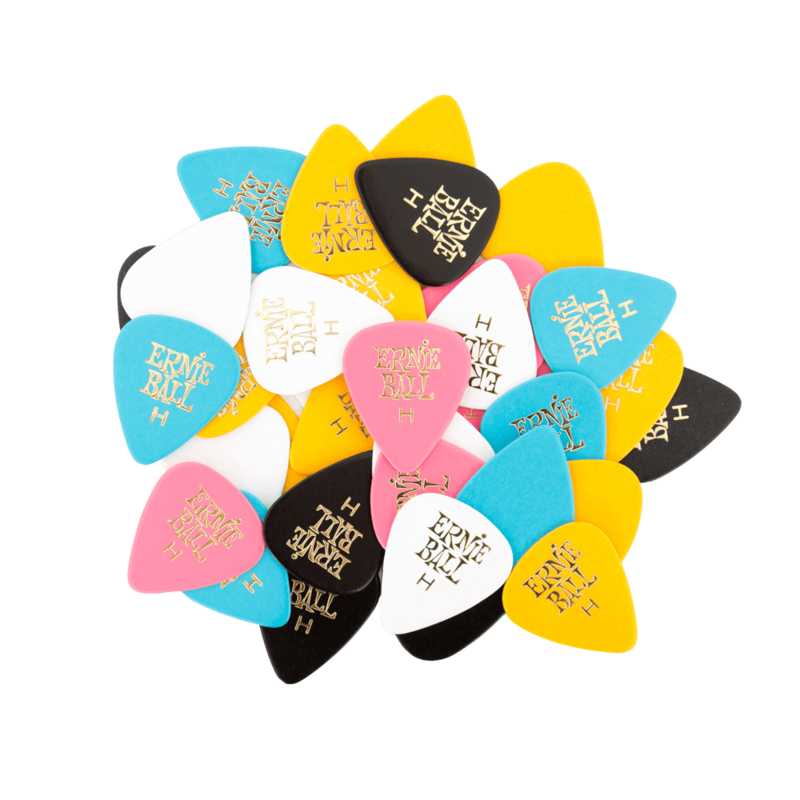 Manufactured using an injection molding technique, these cool guitar picks feature an easy-to-grip top that players can really hang on to. These picks come in three different thicknesses and either packs of 12 or 50. If you like strumming with your thumb, take a look at our thumb picks. These picks are made for playing guitar, banjo, ukulele, resonator and other stringed instruments. These picks come in both packs of six and packs of 24, both come with assorted colors. 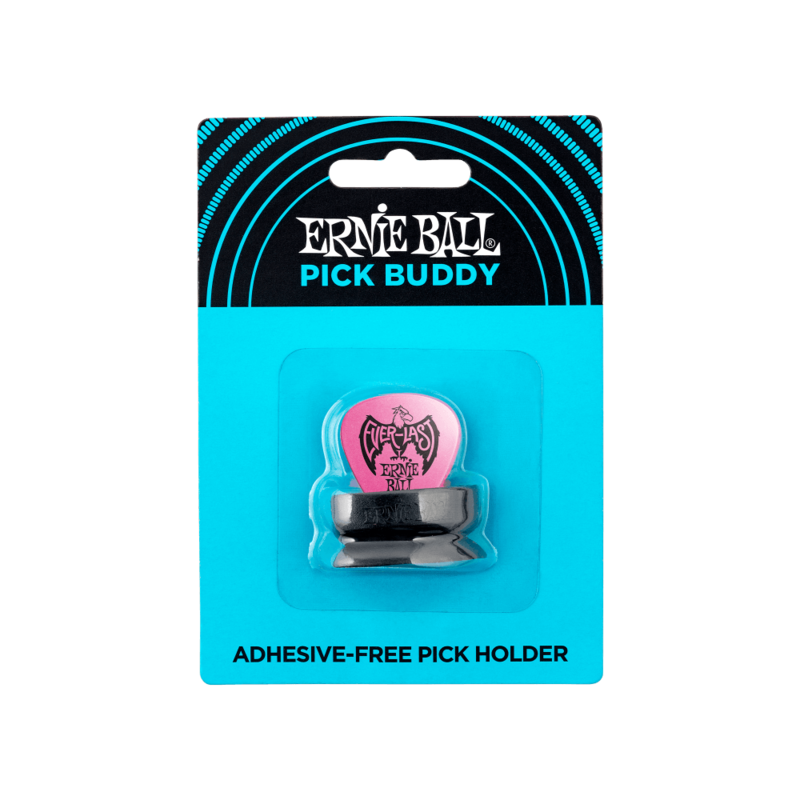 Extra light weight metal finger picks are also part of the Ernie Ball pick arsenal. Made from genuine "German Silver" (nickel, zinc, and copper alloy), the pointed tips make perfect clean attacks at any angle. 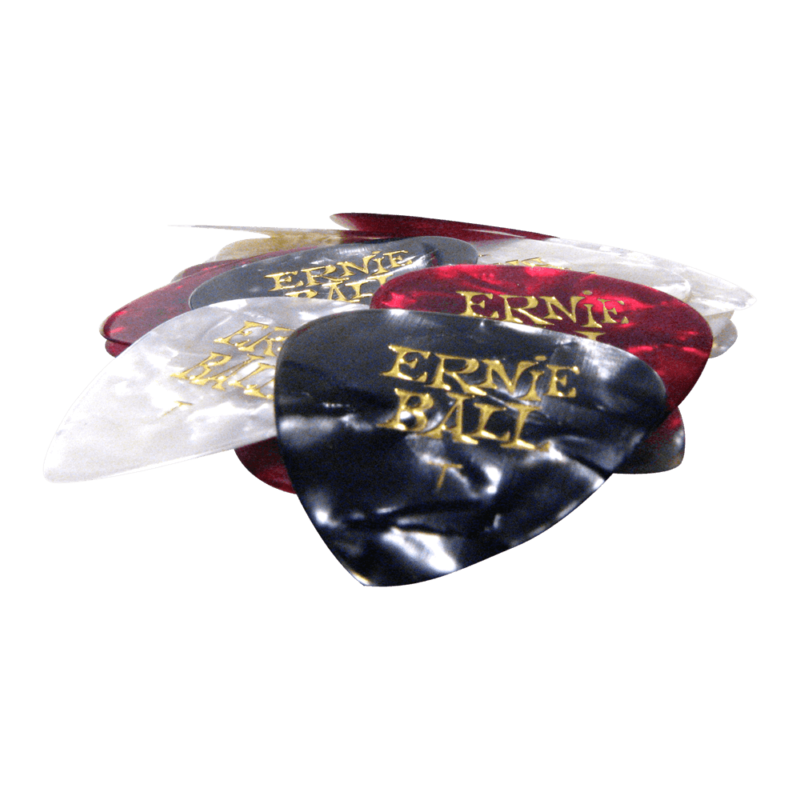 If none of these picks strike your fancy, you can make your own custom Ernie Ball guitar pick. 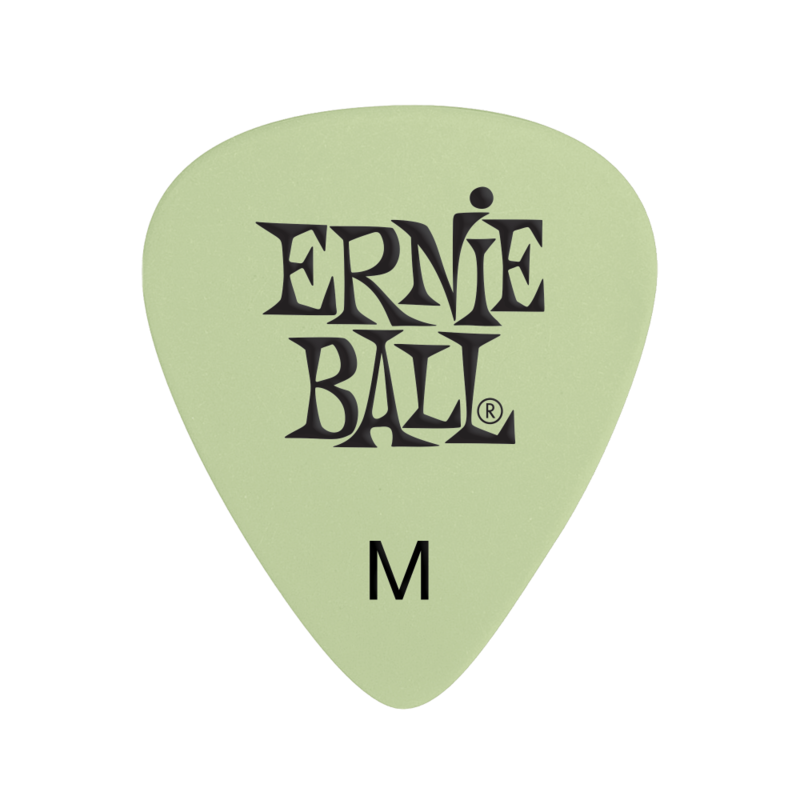 Custom picks can be ordered at any music store that sells Ernie Ball music products. The standard custom design package includes printing on one side, two lines, no more than 9 characters per line.